Given his releases on some of techno music’s most prominent labels many will already be familiar with Monoloc. 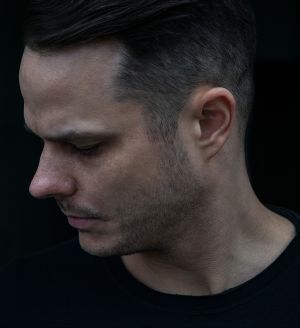 After taking his first musical steps on CLR in his native city Frankfurt he relocated to Berlin in 2014 where he captured the attention of Dixon and Âme who included his “Flaneur” on the Innervisions Secret Weapons Part 7 EP. Since then, he’s continued to add to an impressive discography, sharing music through Hotflush before dropping a poignant, leftfield LP on Rødhåd’s Dystopian in 2016—a captivating release that marked an evolution in his sleek and punchy sound. It was termed the label’s “jewel in the crown“ by Mixmag. More recently, he contributed a track to Tale of Us’ Afterlife compilation. As a DJ he continues to impress with his driving and lo-slung selections. Having only started touring in 2010, he now performs at some of the world’s leading festivals and clubs. In addition to this, his ongoing affiliations with the above labels make him a regular guest at Afterlife and Dystopian events.